I currently own a 2008 Corolla, it's a great car. But the MMT gearbox is not reliable at all. While it's working, everything is perfect, but it can suddenly break without any previous warnings. Anyway, I am upgrading the car to a 2015 model Toyota, and I haven't decided whether to get The Auris 2015 station Hybrid or Corolla 2015. Any advice? The Corolla is effectively the saloon (sedan) version of the Auris. 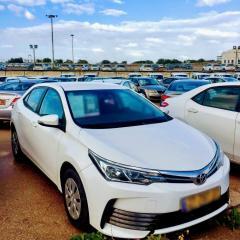 The Corolla saloon hasn't been sold in the UK since 2007, as saloon versions of small/medium size cars are not popular here and sales volumes are low. Having said that the Corolla has a longer wheelbase than the Auris - 2700mm (same as the Avensis and Prius) as opposed to 2600mm of the Auris - so there should be a little bit more room for rear seat passengers as regards legroom. You haven't said whether the Corolla will be diesel or petrol.